Tales from the American Football League is beginning a new feature that I am calling, Email from the AFL. I will be contacting former AFL players via email, and asking them a series of questions pertaining to their time in the league. I will post their responses here for readers to enjoy. 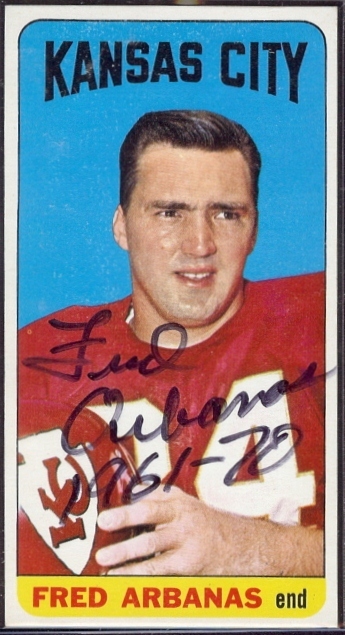 Our first Email from the AFL feature is with former tight end for the Dallas Texans and Kansas City Chiefs, Fred Arbanas. Fred was drafted by the Texans after a successful college career at Michigan State. After sitting out the 1961 season due to injuries, Arbanas made an immediate impact on Coach Hank Stram’s offense. 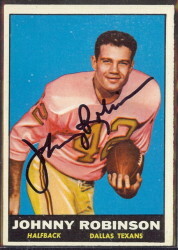 He was a six-time AFL All-Star, despite losing his sight in one eye after receiving a blow the the eye in December, 1964. 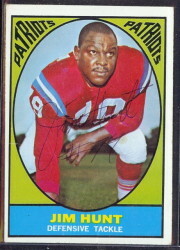 Fred Arbanas retired after the 1970 season with 198 receptions for 3,101 yards and 34 touchdowns. 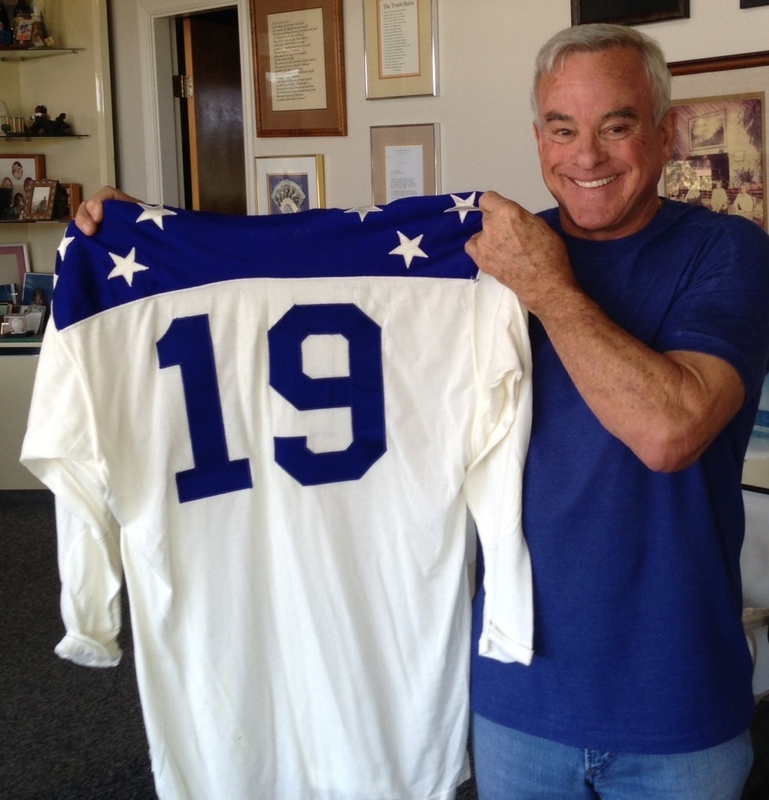 In 1969, he was named as the tight end on the AFL’s All-Time Team by the Pro Football Hall of Fame. _ _ _ _ _ AFL – You were drafted by the Dallas Texans (AFL) and St. Louis Cardinals (NFL). Please discuss your reasons for signing with the upstart AFL team. FA – Both offers were about the same. A college teammate was with the Texans, plus I liked Dallas. I read western books and thought that was a part of the Country where I wanted to live. AFL – How did you feel about the Texans move to Kansas City? FA – I was in shock when they announced the team would be moving to Kansas City. However, after we all got settled in I found it’s the greatest city in the U.S. AFL – You played in two Super Bowl games. 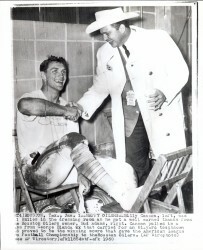 Please discuss the AFL-NFL rivalry at that time, and what it meant to represent the AFL in those games. FA – The rivalry was intense to say the least. We were considered the little kids on the block. We were going to prove our team stood together as one – all playing on the same page!! AFL – There were many highlights during your career – two Super Bowl appearances, three AFL championships, six AFL All-Star Games, selection as a member of the AFL All-Time Team. Which meant the most to you, and why? FA – The game I remember the most was beating Chicago Bears 66 to 24 in an exhibition game after the Super Bowl loss to the Packers. This game was REVENGE time, as if it was a mini Super Bowl. All inter-league games were war on the gridiron. AFL – You played one post-merger season, in 1970. Were there any noticeable differences in being a NFL player as opposed to and AFL player? 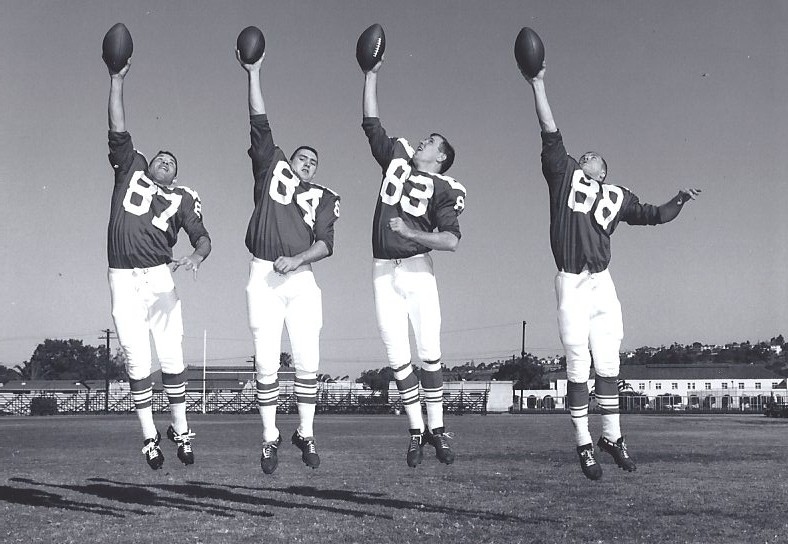 FA – The guys were all the same size with similar football ability. Basically, we all came from college teams who had played against each other at one time or had been teammates. AFL – You played your entire career under Lamar Hunt’s leadership. What were your feelings about the founder of the American Football League? FA – I could not have played for a better owner. Lamar Hunt will always be TOPS in my book. AFL – Who were the one offensive and one defensive player that you saw during your career that most impressed you? 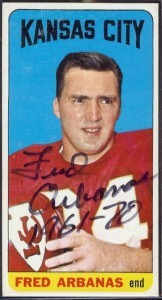 FA – Defensive (my teammate) – Buck Buchanan. 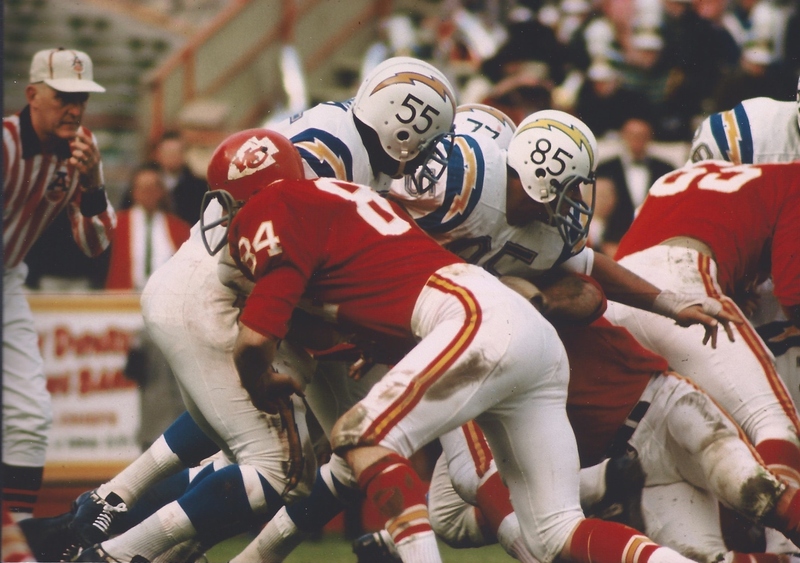 Offensive – Lance Alworth. AFL – The AFL players seem to get overlooked by Hall of Fame voters. 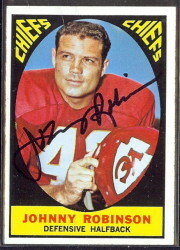 From your Chiefs teams there are several players that deserve serious consideration and likely induction – yourself, Dave Grayson, Jim Tyrer, Ed Budde, Johnny Robinson, Otis Taylor. Why do you think the AFL players don’t seem to get the recognition that they deserve? FA – None of the players were supported by team management and that’s what it takes to get inducted into Pro Football Hall of Fame. Look at the “All-Time AFL Offensive Team” and you will see the only members were Chiefs and/or Texans at one time. It’s a real slap in the face ! !